Melissa Harris’s new Mastery Brand combines her understated style with a hint of artistic patterns for a bold and unique statement. The tone-on-tone geometric pattern in the header draws the eye towards her hand-written monogram logo. Melissa’s tagline “helping you find home sweet home” is a nod to her Midwestern roots. The powerful combination of red, navy, and slate blue give her an eye-catching and colorful palette. 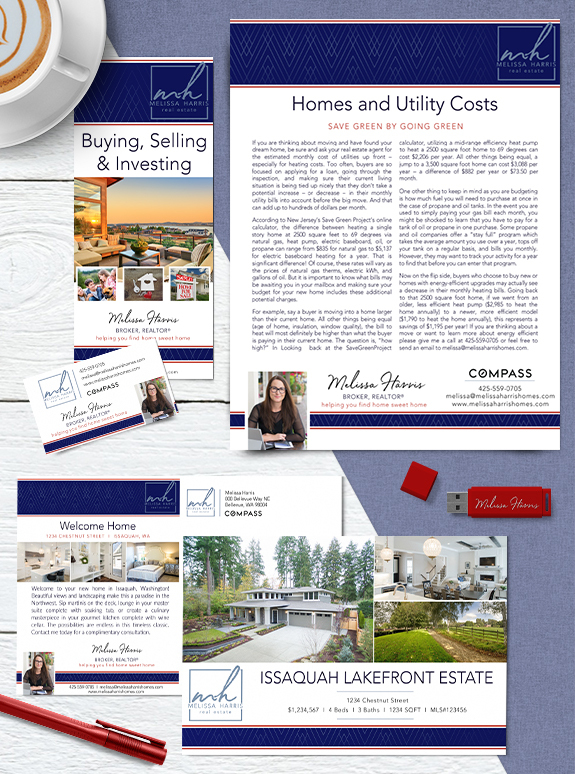 Melissa loves her community of Issaquah, and she is the one to help you find that perfect home or investment opportunity in the Greater Seattle area. « Market Conditions – Not New Carpets – Determine Market Value!